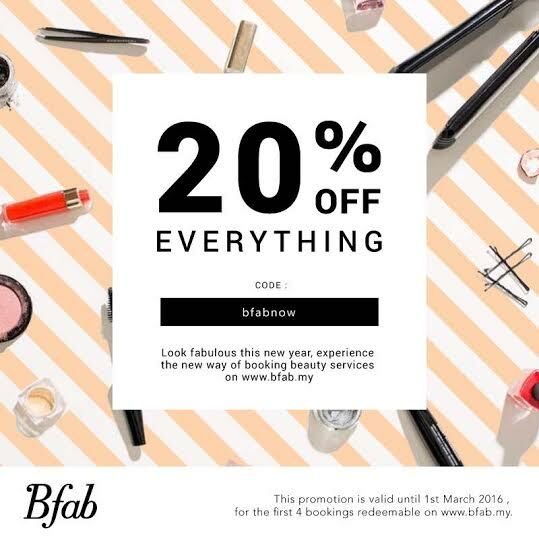 Hello my dear friends, today i've got something cool to share with you beauty and health freaks! As some of you know I am a loser for massages, I love love love massages, whether is at a massage parlor or friends giving it to me, whenever I get a massage I'd feel happy and grateful. Yes that's my weakness, please don't use that on me. The site is pretty convenient as we can choose the type of treatment we want, For example, I want a massage and I can filter to the types of massage that I enjoy. 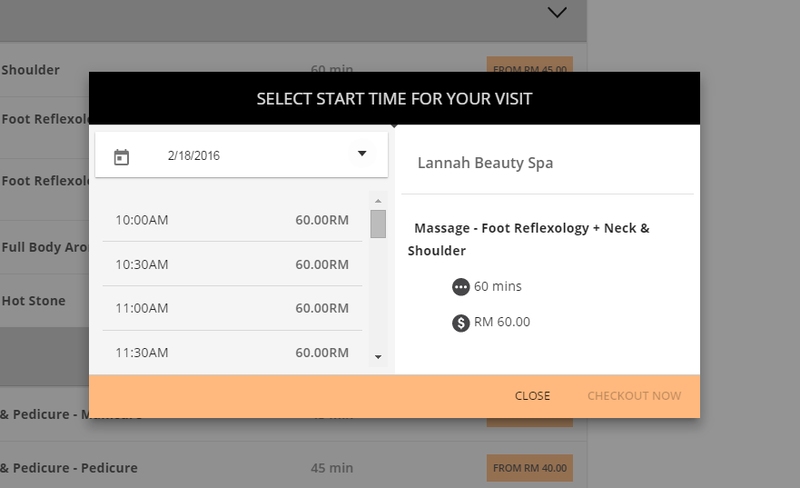 I think this is pretty useful, this way I don't waste time scrolling and browsing through sites that may or may not offer the kind of massages i want. Here they would show the address and operating hours as well as the type of services they provide. 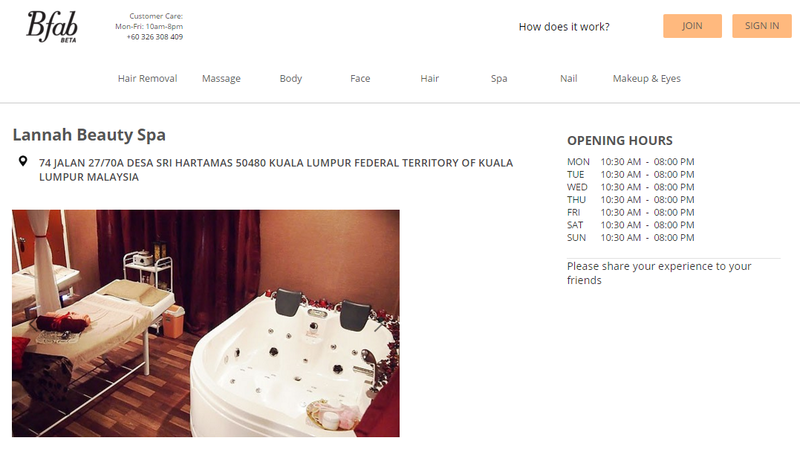 So this place does not only provide massage & spa services, but also others such as hair removal, make up, manicure pedicure and more! On the services column you'll be able to see the pricing and time. 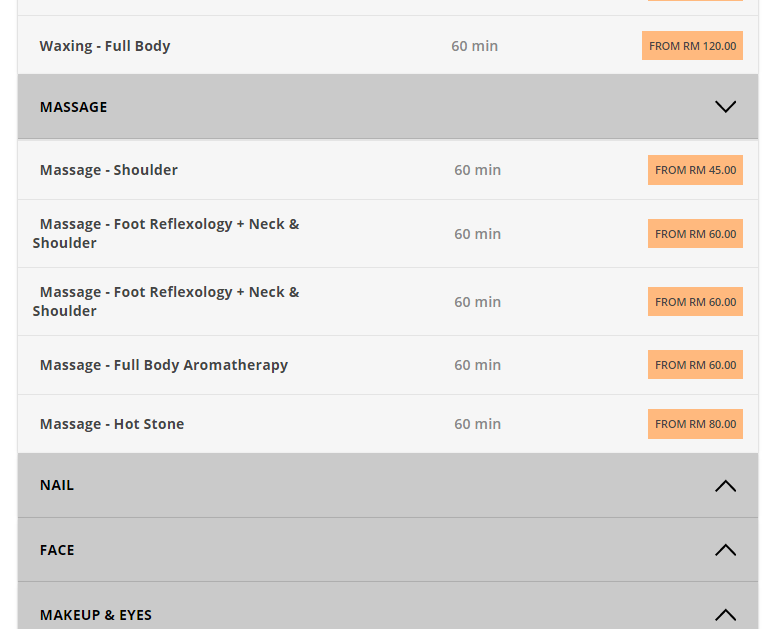 My usual massage time is often around 60 minutes to 120 minutes. To make an appointment all you need to do is click on the price, and this pop out would appear. Here you can choose your preferred date and time. When you're done selecting just click "Check Out". If you are a new user, you will be required to register and it's free! Also payment is only done at the venue, I am guessing this is for last minute cancellation emergencies. I honestly find this site is made easy for most of us beauty and spa lovers. With this site we are also able to compare prices! :D Admit it, it's a typical Malaysian thing that we do ;).